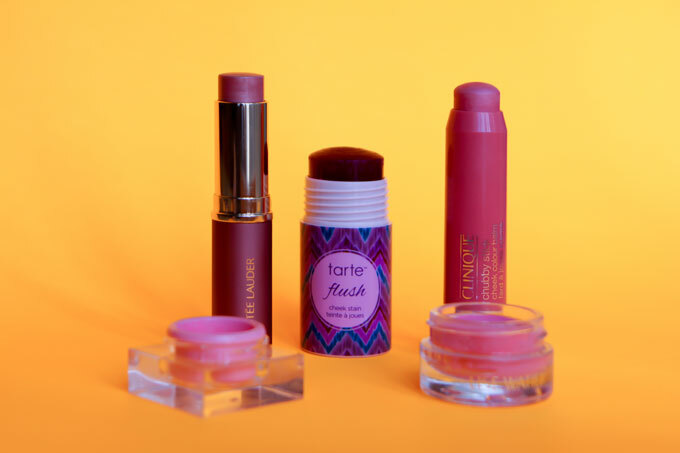 In the past year or so, I’ve pretty much completely switched to cream blushes. I still have a few special powders sticking around, but, eighty percent of the time, I reach for stick or a jar. 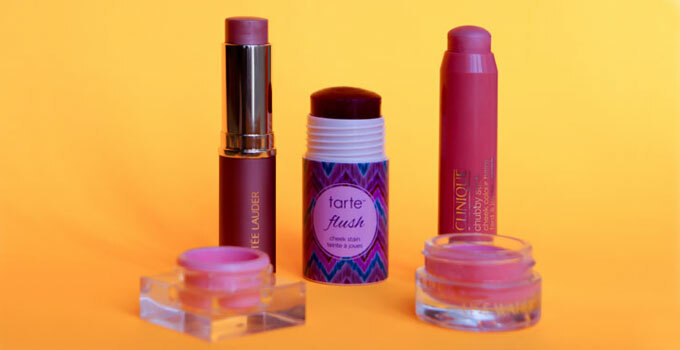 I like the different consistencies and formulas, from a sheer stains to solid creams. I find that it not only looks more natural, but it’s a lot more instinctual to apply blush with my hands, being able to really feel my cheekbones. Plus, there is no hassle of having to clean the brush all the time. I’m slowly running out of my YSL’s Creme de Blush in ‘Babydoll’ and it’s incredibly difficult to find, so, if I’m in a mood for a baby pink, I alternate between it and Lise Watier’s Blush Fondant Supreme in ‘Rose’. They are both little wonders-in-a-jar, with a similar mousse-y formula that glides divinely on the skin and dries matte. Estée Lauder’s Bronze Goddess summer collection is a must every year. (That scent!) This upcoming summer, the brand is adding a Limited-Edition All-Over Illuminator stick to its lineup. I adore the shade, as it can act as both a blush on pale complexions and an illuminator for all. It gives one that sun-kissed look without having to reach for a bronzer.